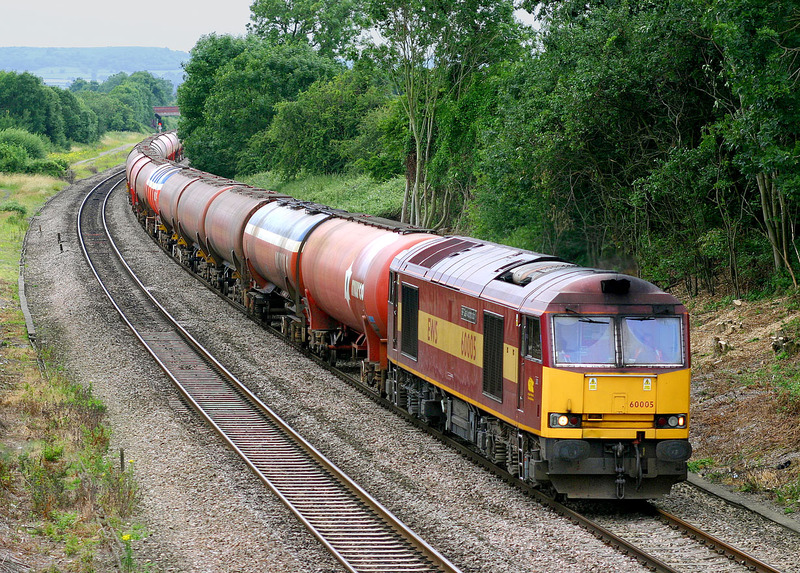 60005 BP Gas Avonmouth passes Little Haresfield with the 6B47 16:10 Westerleigh to Robeston empty Murco oil tanks on 4 July 2008. It is slowing down on the approach to a red signal, just prior to being looped to allow a northbound Cross Country service to overtake it. Note the evidence of recent tree removal by Network Rail on the side of the cutting. Just visible in the background is the signal that controls Standish Junction, where the Swindon line diverges from the Bristol route.